A cerebrospinal fluid (CSF) leak is an under-diagnosed, yet often debilitating, medical condition comprising a small tear or hole in the outer membrane that contains the fluid surrounding the spinal cord and brain (known as the dura mater). When the fluid leaks out of the dura at spinal level, the overall volume and pressure of fluid within the skull drops (known as intracranial hypotension), its cushioning effect is reduced and the brain slumps. This slumping effect, also called ‘brain sag’, results in severe pain, pressure, blurred/double vision, eye pain, neck pain, hearing impairment, tinnitus, spasm, seizures and a wide range of other symptoms. A CSF leak occurring at cranial level is thought not to trigger intracranial hypotension, but nonetheless can give rise to a variety of symptoms, such as headache, visual disturbance and changes to hearing or ringing in the ears, as well as external CSF discharge, commonly to the throat and nose. Meningitis risk is also elevated with a cranial CSF leak. A key characteristic of a CSF leak – particularly a spinal leak – is that the vast majority of symptoms, if not all, worsen markedly upon sitting or standing, but lessen substantially, and in some cases disappear completely, when lying down. The longer a leak goes untreated, the less prominent this orthostatic characteristic of symptoms may become. Many people develop a CSF leak as a result of a lumbar puncture or an epidural injection or anaesthesia, while others develop them following trauma – ranging from major trauma and whiplash, to minor trauma which may otherwise have gone unnoticed. Sometimes a CSF leak can be an unintentional consequence of an over-draining shunt, placed for the treatment of intracranial hypertension (high pressure), or as a result of underlying intracranial hypertension that has gone undiagnosed. Cranial leaks may occur in the nose following surgery (rhinorrhea), from the external auditory canal (otorrhea) or from an operative defect in the skull. They can also be a common complication following severe head injury, where CSF may be observed draining from the nose, ear or discharging to the back of the throat. 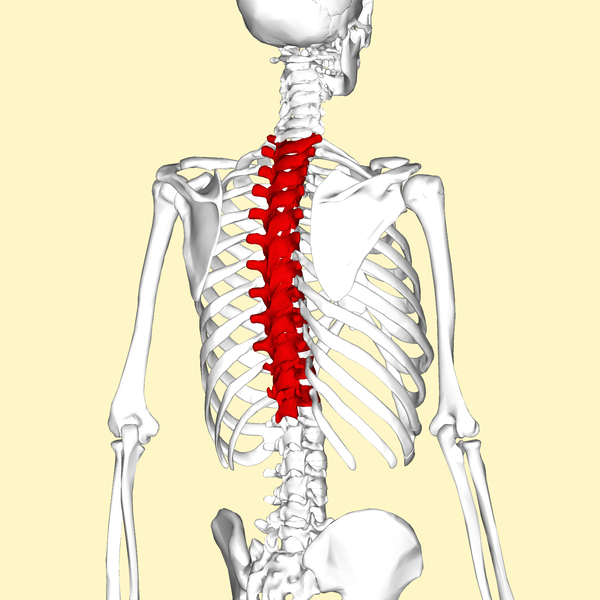 Spinal CSF leaks, particularly those resulting from trauma or occurring spontaneously, are commonly found at the thoracic spine and cervicothoracic junction. 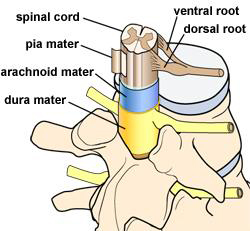 Spinal leaks have also been reported due to cervical bone spurs or other conditions affecting the vertebrae. 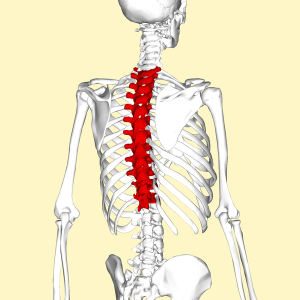 Spontaneous spinal CSF leaks, where the onset of symptoms comes out of the blue, were once considered rare, but are now known to be far more prevalent than first thought. Such leaks are increasingly attributed to an underlying congenital disorder, such as Ehlers-Danlos Syndrome and other connective tissue diseases. In many cases, a CSF leak will heal on its own accord following conservative treatment, including strict bed rest, increased fluid intake and caffeine. Conservative treatment and the tincture of time is not always enough, however. 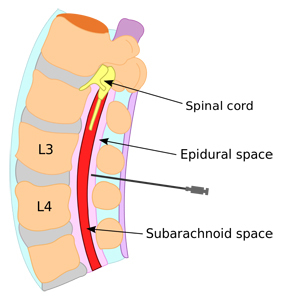 Some patients with a leak at spine level may require a clinical procedure known as an epidural blood patch in order to promote healing; low-volume if the leak location is known following MRI, CT Myelography or MR Myelography imaging or high-volume if it remains undetected. Where a blood patch is not successful, a surgical sealant known as fibrin glue, or for more complex spinal or many cranial cases, neurosurgery, can be used to good effect if the site of the CSF leak in known. In a lesser, but certainly not insignificant, number of cases, cerebrospinal fluid may continue to leak despite repeated attempts at patching, fibrin glue application or neurosurgery. Where a leak continues, either through unsuccessful treatment or delayed diagnosis, long-term disability is not uncommon due to severe chronic pain, visual disturbance, seizures and nerve damage. Accordingly, sufferers may be unable to work, undertake any form of physical exercise or carry out basic day-to-day functions that able-bodied people would take for granted. While knowledge of CSF leaks may be limited within the general public and some sectors of the medical profession, such as general practice and emergency medicine, they are not uncommon and affect at least 5 in 100,000 people every year. They can occur at any age through trauma or other injury, while the average age for a leak developing spontaneously is 42, where women are thought to be twice as likely as men to develop the condition. CSF leaks were first documented in the 20th century by German neurologist Georg Schaltenbrand (1938) and later by American physician Henry Woltman of the Mayo Clinic (1950s). Despite the passing of time, CSF leaks are not fully understood, remain commonly misdiagnosed (particularly as migraine or sinusitis) and, as an area of clinical study, are significantly under-researched. Other conditions which share some of the positional symptoms of a CSF leak are orthostatic hypotension (which can cause dizziness on standing), positional vertigo due to inner ear disturbances, and orthostatic tremor. It has been documented that orthostatic hypotension can develop as a secondary condition to intracranial hypotension; particularly where symptoms result in long periods of bed rest and physical deconditioning occurs. Click here to download our What is a CSF Leak? factsheet.